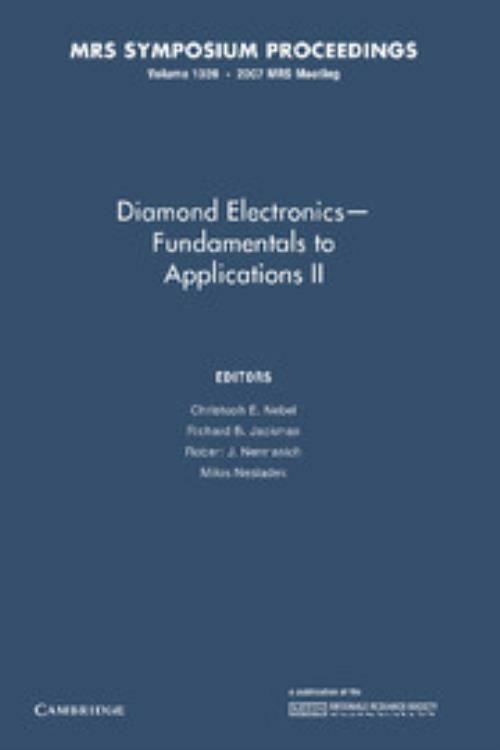 Following the very successful book on Diamond Electronics from the 2006 MRS Fall Meeting, this proceedings demonstrates the swift progress achieved in the field of diamond for electronic applications. It covers significant results from leading scientists and engineers with both fundamental and applied interests in the diamond field. Topics include: quantum computing; single photon emission; biosensing; growth and doping of poly-, single- and nanocrystalline diamond; field emission; surface electronic properties; high-energy particle detectors; and more. The future of diamond in industrial applications is also addressed. Richard B. Jackman University College London. Robert J. Nemanich Arizona State University.